Birger Kaipiainen became world famous designer above all for his thousands of unique art works. 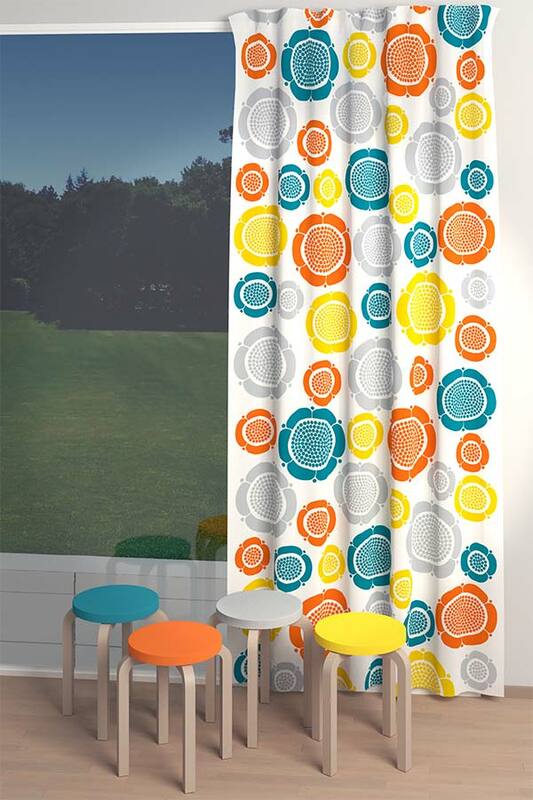 It is also possible to customize Kuovi's fabric designs exclusively for you. We can for example change scaling or match colors to the rest of the interior. 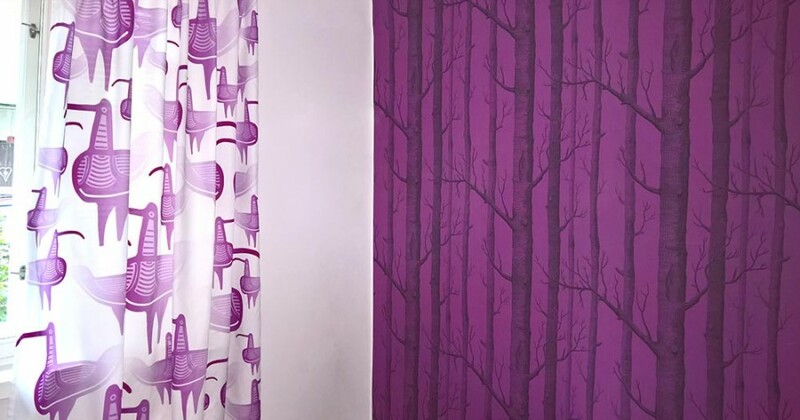 The first example picture has a curtain from customized Sunday Morning cotton sateen. Colors were matched to customer's colorful Artek chairs. The other picture has a curtain from customized Mother Curlew cotton sateen which colors were matched to the Woods wallpaper of Cole & Son.